The country’s premier institution for engineering courses, Mapúa Institute of Technology (Mapúa) became a YGC member after iPeople had acquired it in 1999. MIT envisions itself to become a global center of excellence in education where students are provided with professional and advanced scientific and engineering programs with a healthy dose of the arts, letters, philiosophy, social sciences, and values education. 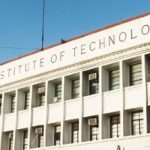 A subsidiary of iPeople, Inc., Mapúa has two campuses: in Intramuros where it was founded in 1925 and the new campus in Makati City. Visit www.mapua.edu.ph for more information.